Thirteen-year-old Jianing Gan 6D showed talent and flexibility in several complicated exchanges in the first round of the best-of-three Strong Player’s Online Tournament (SPOT1) finals on Sunday, May 9, but Myungwan Kim 9P mastered the game with superior control and eventually took 1-0 lead in 151 moves after capturing White’s dragon. Jennie Shen 2P provided live game commentary on KGS and answered questions from fans all over the world. The match resumes with Game 2 on May 22 at 1p on KGS. In the third-place game between Michael Chen 7D (White, left) and Eric Lui 7D (Black, right), Lui used a vigorous sanrensei opening and Black’s first thirteen moves only have one stone below the fourth line. Click here for game records. Despite a misread in the first battle in the upper left corner, Chen got points in the second battle at lower right. However Lui became very thick and initiated the third battle as he was a bit behind in territory. 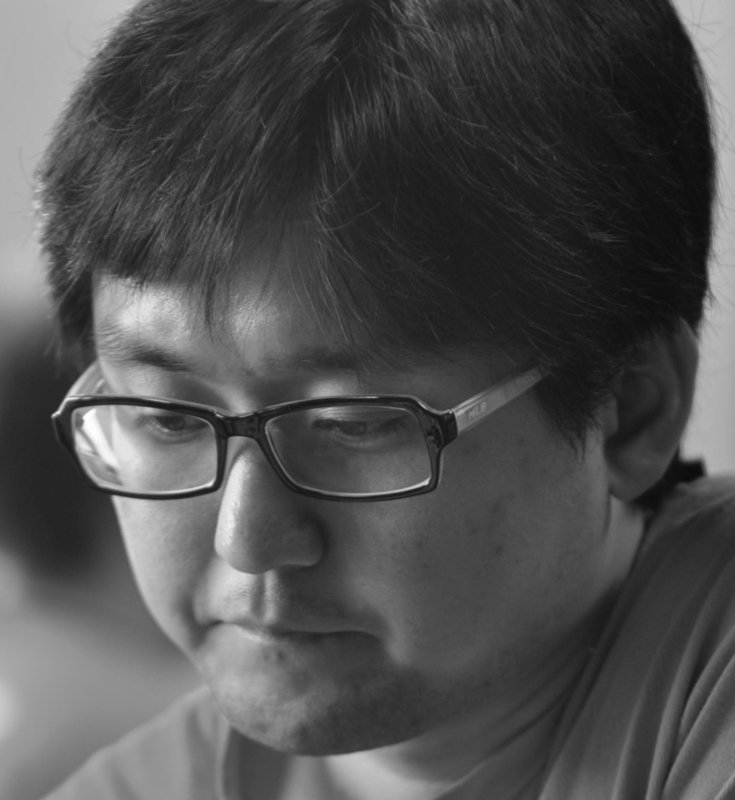 Chen tried to counter by attacking even when his own dragon lost space to live, but Lui defended wisely and forced Chen to resign at move 189. EJ: Can you give an overview of this game? Kim: He (Gan) is very young. I was surprised how young and good he is. He is very creative too, but he lost some points in the beginning and couldn’t catch up. EJ: If I remember correctly, this is the first time you killed a dragon in this tourney; when did you decide to do so? Kim: When he played at J18, which is too much. Normally I don’t like to kill. EJ: I see. One fan commented “Kim is gentle” Where are you most satisfied with your own play? Kim: That’s a difficult question. I don’t really think there’s a good move of mine. Every move was so-so. EJ: You are so humble. 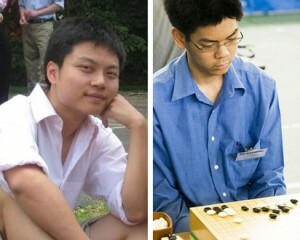 Jennie Shen 2P commented that you are so good at controlling the game. EJ: It was noticed that you used a lot time at the beginning, but played much faster afterwards. Why? Kim: Fighting in the beginning is always important. When you’re leading, everything becomes easy. - Report/interview by Tournament Director Zhiyuan ‘Edward’ Zhang; photo: Michael Chen (left) and Eric Lui (right) have been friends and rivals for many years.